This mountainside, 4 bedroom / 3 bathroom home is located in the Cedar Hollow townhome complex in the Upper Village. It features an open living & kitchen area, wood burning fireplace, gorgeous forest views, patio with BBQ, private hot tub and a very home-away-from-home feel. 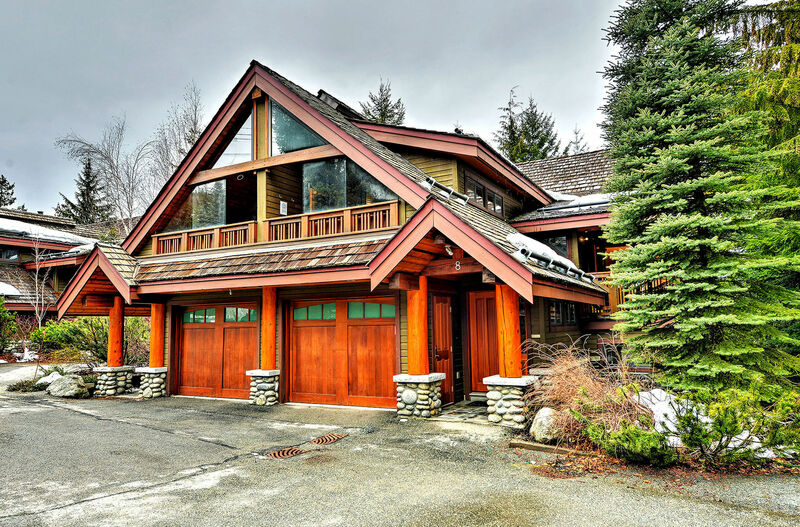 Its perfect location is just a quick ski/snowboard ride down the slope to the Whistler Mountain base and a short walk to the Magic & Wizard chairs, traversing Blackcomb Mountain. 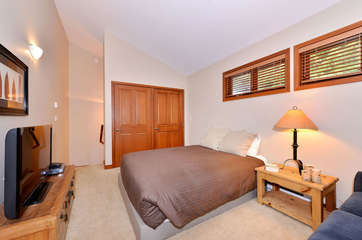 • Fourth Bedroom - Queen bed (hot tub is located on the deck off of this room). ***Safe walking is possible alongside the ski hill - there are no side walks. Unit is about 200 yards from the ski slope. 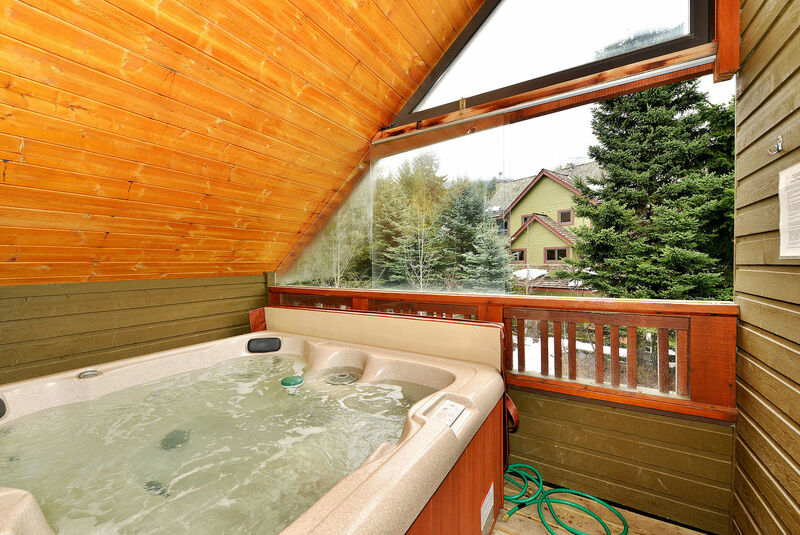 The upper level contains one bedroom with access to an outdoor hot tub. 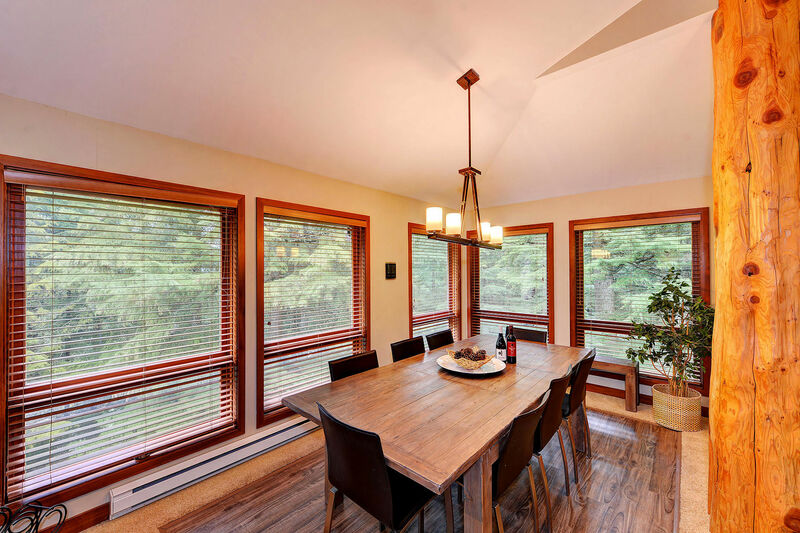 The main floor is completely open and contains a large living/family room with ample seating, TV and fireplace; an 8-seat dining area, and well-equipped kitchen. 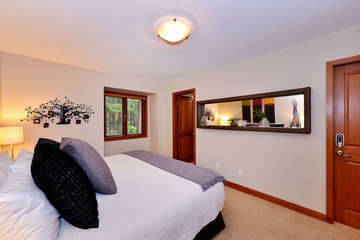 A lower level contains three bedrooms, including the master bedroom. 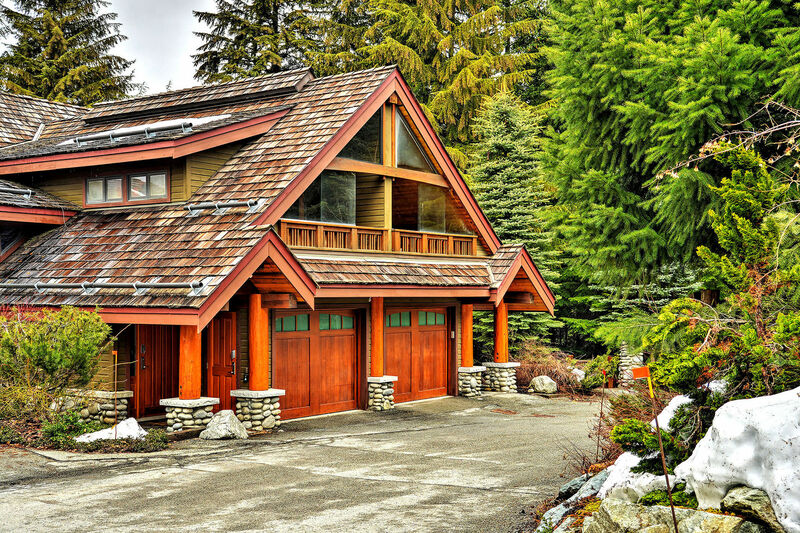 The unit has an a single-car garage with a ski boot and glove warmer. Everything was well maintained. There were no major issues. The only &quot;minor&quot; issues are that the pots and skillet handle were loose (and need special tools to tighten) and the kitchen knives were dull--not deal breakers. My extended family and friends were delighted with the unit, and we will be requesting it again for future family vacations. Thank you for such a great review.We will make sure to look into the issues you have brought up during your stay.We look forward to seeing you again soon and please do not forget to book directly with Blackcomb Peaks Accommodation and recieve 10% off your next stay. The house is excellent. Everything was clean and ready for our arrival. The heating works very well and the kitchen was fully equipped. Would absolutely stay here again. 7 people stayed here happily for 10 days, the hot tub is a bonus and was serviced regularly during our stay. Perfect holiday retreat!! 2 minute drive to the main village. The house was impeccable, with a great infra-structure and full of amenities and space. Highly recommend it! We appreciate such a wonderful review and we do our upmost to make our guests stay the most convenient and enjoyable stay that it can be.<br /><br />It is wonderful when we have such loyal and returned guests like you.<br /><br />This is such a fantastic&nbsp;home to stay in and we are so pleased you enjoyed your stay. Our family of 8 loved Cedar Hollow 8 and we are now planning our trip to stay here again next year. The location is great, just walk a short stretch through the parking areas to get to Village Run down to the gondolas. The young adults loved walking back and forth to Whistler Village at night without having to call Uber. The layout is casual and perfect for gathering in the kitchen-dining table-family room area and the hot tub was the ultimate after a day on the slopes! Loved it! 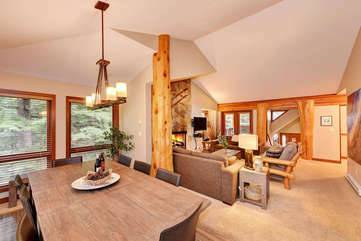 RESPONSE FROM BLACKCOMB PEAKS ACCOMMODATIONS: Thank you, Karen, for this amazing 5-star review. Please come back soon, we would love to have you. Your Blackcomb Peaks Team*** Please make sure to redeem your 10% return discount towards your next stay booked directly at the Blackcomb Peaks Accommodations site. Everything was as described, very clean and comfortable with only a short walk to the hill. Our family reunion was a lot of fun and we would book again! Thanks! 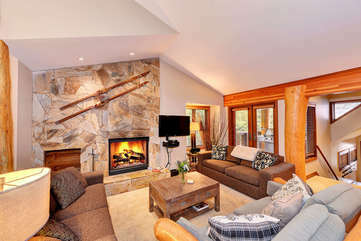 This condo is really nice-- right on the slopes, cozy, room for lots of people, hot tub. The one thing I would warn about is the kitchen. We like to cook so we used it a lot. There were no big bowls (like for a salad for the group), and the stove and oven are nice but complicated to use-- you can't use your own pots on the stove, so if you plan to make something big, make sure they have the pots you need. Also, some instructions would help! The weekend and property were perfect! Everyone loved the place and had nothing bad to say. Everyone's beds were comfortable, the place was clean, and everyone had enough space. If I had to find something to improve on the only thing I can think of would be, instructions for the TV. Took awhile to figure that out. The place was great and would recomend it to everyone. We had an excellent stay at this wonderful property. It was very clean, with beautiful views out of all of the windows. 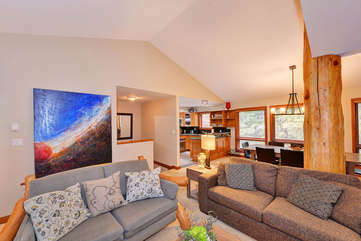 The unit was close to the village and convenient to the ski slopes. The unit was fantastic. Very spacious and clean with all the amenities. My group consisted of 4 couples and each couple was able to have their own private room. The living room couches fold out so the place could easily have slept 4 more people. The website was very useful and the self check-in and check-out worked flawlessly. I stayed here with 4 other people from work. One person slept in the upstairs den (near the hot tub), 2 guys in the twin beds downstairs, 1 in the bunk room, and lucky me - got the king in the Master bedroom. It's about 1 block from the unit to the slopes. Once you have your skis on it's a quick trip down to the gondola. We enjoyed the heated floors and large dining area. The hot tub was great at the end of a day of skiing. When we explored the village, some of the folks drove down, rather than walking down/up in the snow on the village run. I walked down/up whenever we explored the village. We didn't find a good way to walk up the road and did not explore shuttling options. The pictures represent the unit well. It's very comfortable. We all had a great time! Was great service and place was spotless and perfect for group!! This home was very cozy, lots of beds for big groups. The kitchen was filled with supplies, there was no need to eat out. Having a washer/dryer/dish washer was very convenient. This rental property was incredible. Very clean and comfortable. The layout is ideal for a large group and the wood-burning fireplace is a very cozy touch. 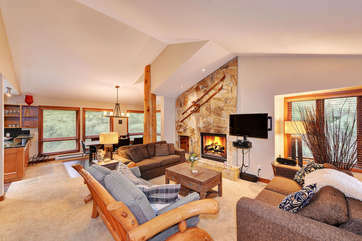 It is very close to the slopes and is truly a "ski-in/ski-out" location. We enjoyed our stay very much and would highly recommend it. The place is amazing. It was close to everything. However, we were not able to find a trail that led down to the village. We walked alongside the road which was not so safe. Other than that, we had a great time. The house was clean and tidy. There were extra towels and sheets in the closet if we needed it. We would definitely recommend it to friends and family. 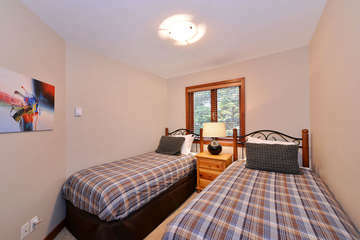 The location is just up the hill from the village and is an easy walk to all activities in the area. We arrived in Whistler to our townhouse in extremely hot weather. The code opens exactly at 4 and we pleased with what we found. There were 6 of us and we all found a cozy place to sleep and spread out our stuff. 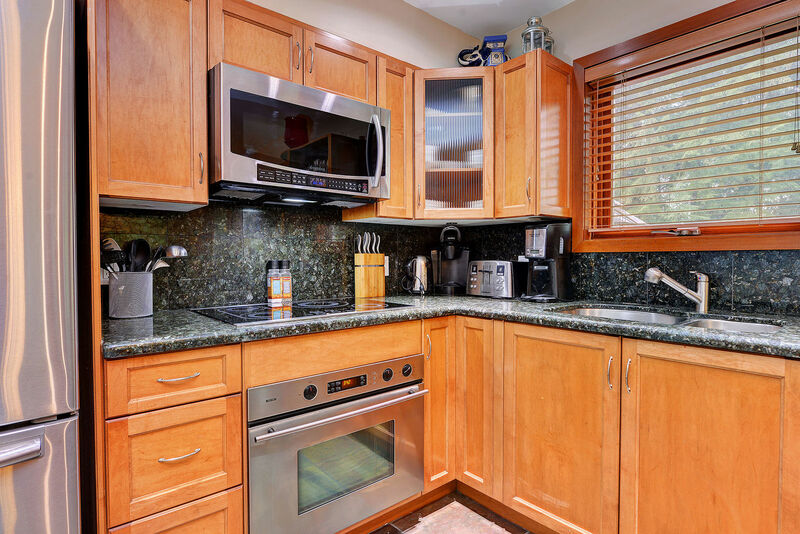 The kitchen is well stocked with cooking essentials and BBQ. The furniture was very comfortable and we enjoyed having music using the portable doc provided. 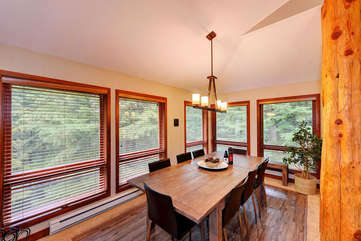 The few down sides were the chairs at the dining room table, next to impossible to slide in and out and the lack of fans to cool the place down in the heat. 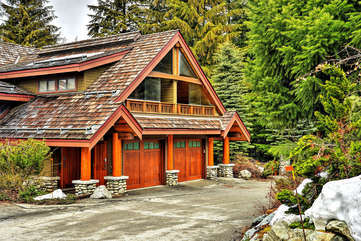 We understand it probably considered more of a winter rental and not need that much. I would recommend a detailed map of where to find the trail to the village, a neighbor was kind enough to point it out but it would have been tricky otherwise. Read the app in full for all the details regarding codes etc. All in all a good stay!! Thank you for the feedback about the dining chairs. 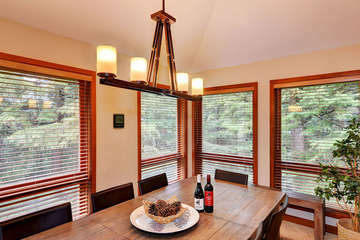 You will be happy to know that the owners take all guest feedback very seriously and so have now removed the carpet from under the dining table and replaced it with wood floor. We just spent a fantastic girl's weekend at Cedar Hollow #8. The townhouse was beautiful & a perfect layout - there were 6 girls in our group and lots of room for everyone (3 full bathrooms!). <br/>A big thank you to Jamie - she was fantastic! We were a group of 7 girlfriends who rented this townhouse to attend Mudderella 2015 in Whistler. What a great stay we had! Lots of space, beautifully laid out and nicely decorated. Only two small comments - the mattress of sofa bed in the den is super saggy (and I don't think the sheets had been changed - so we threw those in the wash and instead used the mattress from the trundle bed) - and - the lid for the hot tub is so awkward to put back on once off. It took four of us to climb in and pull :)<br/>Otherwise a flawless stay. We miss the heated floors! 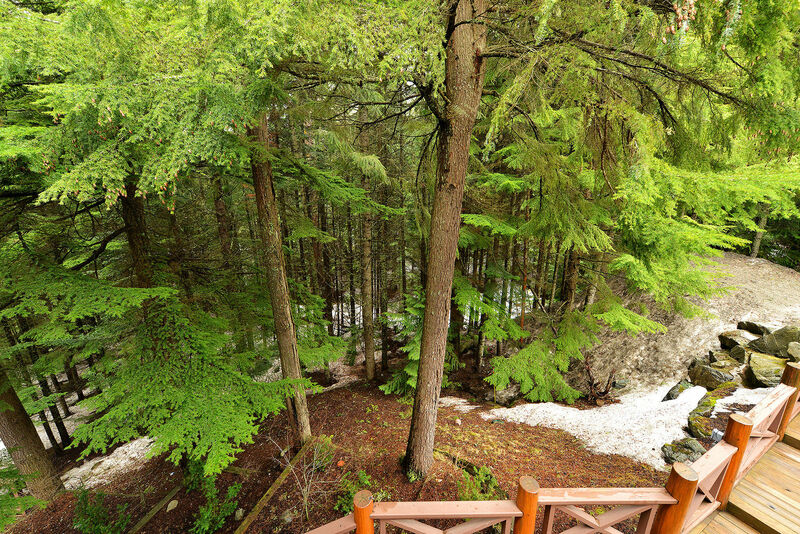 Cedar Hollow #8 was the perfect place for a Whistler getaway. Everything was perfectly and beautifully appointed, clean and spacious. 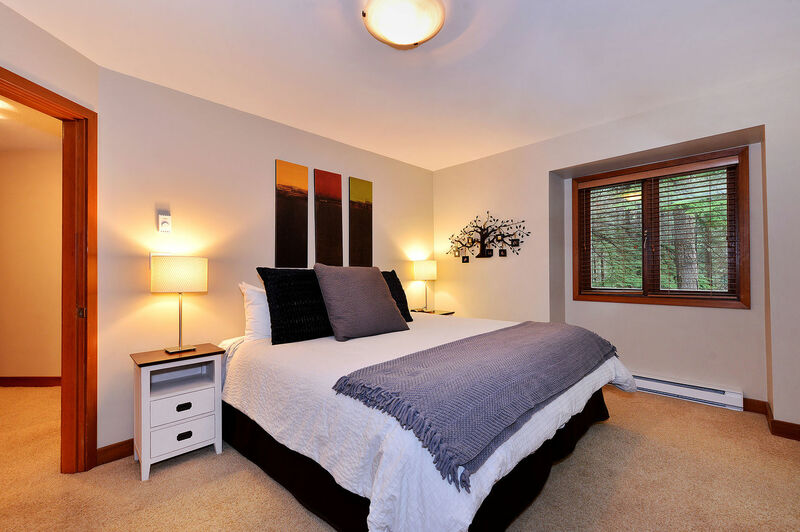 We would recommend this property for any event from a mom's weekend away, to a multi-family ski trip. Can't wait to go back! We had a group of 10 adults for a three night getaway. The home was very nice, came equipped with everything we needed, and had just enough space for us all. 8 adults would be ideal for the home, but 10 was fine. The location was great. The ski slop is about 50 yards away, and you can just walk down the slope if you are going to the village. Jamie was very helpful throughout the whole process. She answered emails and phone calls promptly with all the questions I had about the place. The only issue was that the day bed was a little cheap (Ikea) and broke when a couple people sat on it, so we had to just move the mattresses to the floor. Other than that, everything was perfect. I would stay there again. 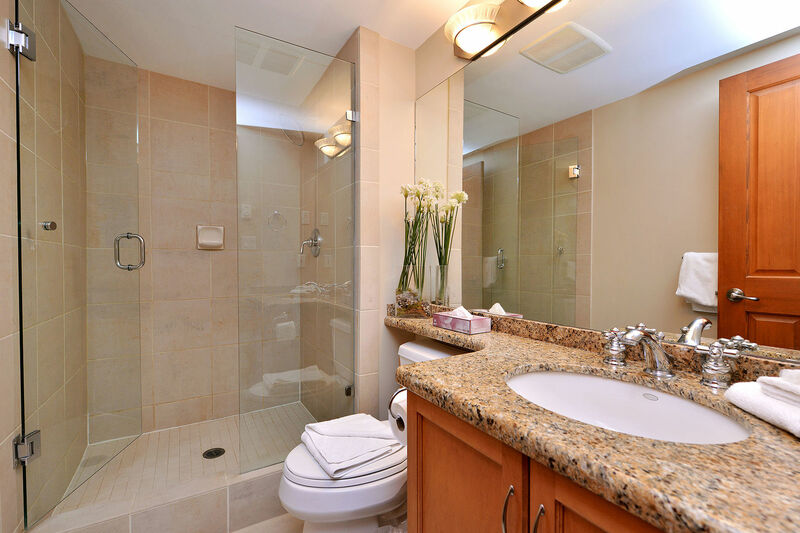 We have rented this unit for the past 2 years and have absolutely loved it. 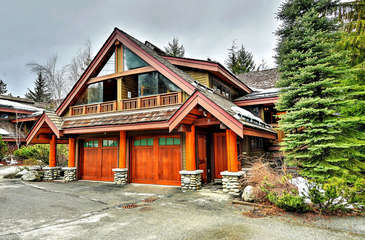 This was our first trip to Whistler-Blackcomb, and we wanted something as close to slopeside as possible. Cedar Hollow #8 is just a short walk through the parking lot to the Village Run trail, where you can ski to the Whistler gondola in Whistler Village in less than one minute. 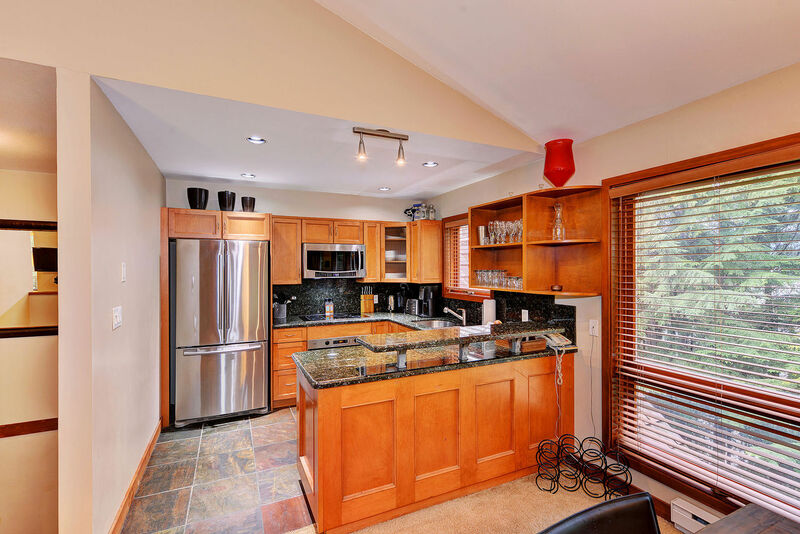 The folks at Blackcomb Peaks Accommodations provided first class service, and the townhome was perfect for our extended family of six adults and three children. We all had a great time. The best thing about the place is that it can sleep a lot of people without anyone feeling to cramped. 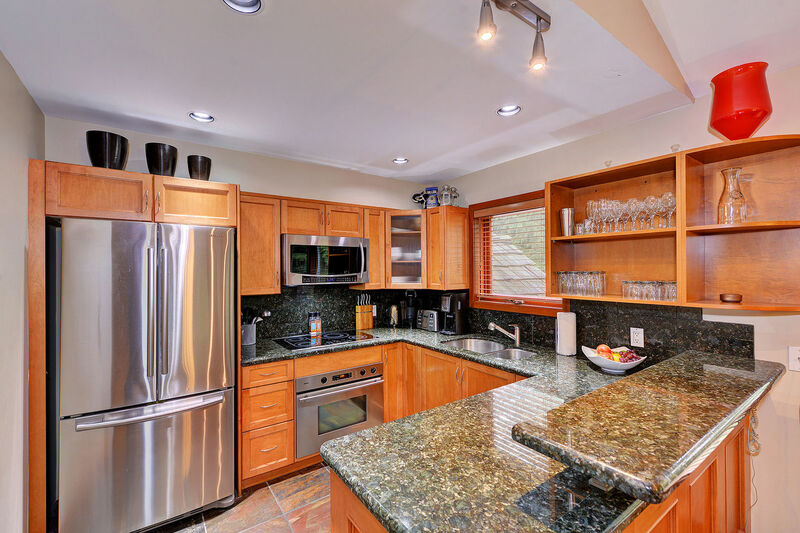 The bbq was great for us and the kitchen has everything that you need and plenty of it. The unit comfortably accommodated eight of us; 2 couples and 4 young men in their 20's. Everyone loved the ski-in/ski-out feature. It was a short walk to the Village Run. It was icy some mornings, but no problem for the boys.<br/><br/>The hot tub and heated garage (with boot Warner's) were also big hits!<br/><br/>Overall, we had a wonderful stay! I stayed at Cedar Hollow with 8 of my girlfriends and we all LOVED this place, great location. We all had the most comfortable beds and enjoyed the hottub!! The best was walking to the fire and ice and seeing the Hair Farmers at the GLC!! Thank-you so much from Linda and all the Chix!! Everything was as described, clean and well maintained. <br/><br/>The house had plenty for space for everyone to move around and have their own space. Great lacation, with a short walk to the village. Great vacation house to stay in. Good location, very cozy. There was one small problem when we showed up, but the management company came right out and cheerfully fixed it. I will definitely go here again. This was the last week of skiing and the lifts will be closing for the next couple weeks to transition for mountain biking. I new this was the offseason but its hard to imagine Whistler any more sparse. The base of the village is about a quarter mile down a ski run. The walk down is do-able but the walk up is less than casual. All three rooms are downstairs which was a little too close quarters for our group of three couples but it would be great for a close family. I did a solo stint in the hot tub and wasn't able to get the lid back on as it was nearly impossible to lift it up and out from between the tub and the wall. I had to have a buddy help with lifting it out of the cranny. I'm sure a group of seniors wouldn't have been able to get the cover back on. The wireless internet and cable were great but the IHome player was out of date as it was for the Iphone 4 adapter. Also our Iphone 6 wasn't able to connect to it's blue tooth. None of us brought a portable speaker and we were without music for our stay. This was a great visit for some spring boarding with a T-shirt and sunglasses. 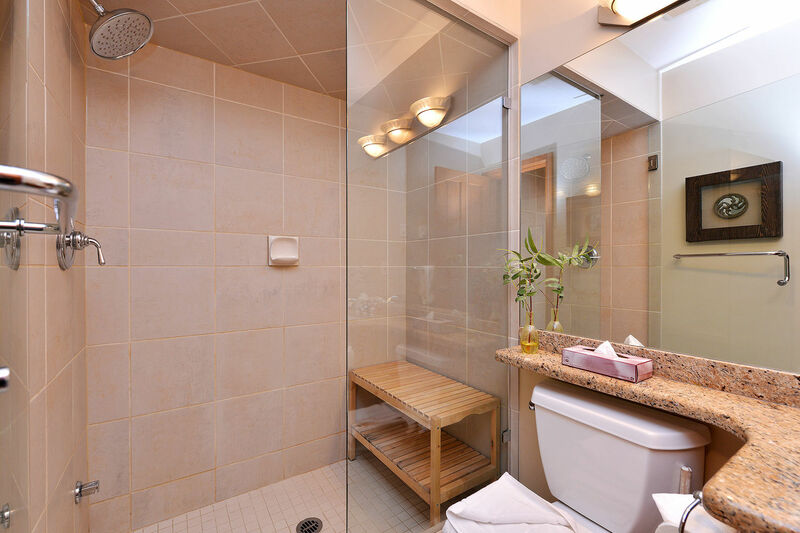 Even though the weather was warm I really enjoyed the heated floors in the bathroom and the kitchen. Your bare feet will enjoy them in the morning!! The accommodation was in an awesome location, was large enough for all of us and well equipped in the kitchen and rooms. once you worked out how to use the appliances they were fantastic. only suggestion would be to have a typed out directions for use book there but other than that it was perfect and wouldn't hesitate to recommend to anyone. Roy and Rebekka were also fantastic and easy to deal with which made it all so easy and comfortable. 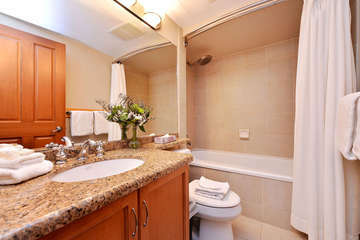 What a fantastic and luxurious place to stay! Great facilities including BBQ, hot tub, shower/steam room and fully kitted out kitchen. Location is also really good, using a short cut Whistler village is a five minute walk. BBQ ran out of gas one evening and the chap from the service centre was out within half an hour to replace it - great service. Recommend stay. Only thing I would say is that we went as a group of 4 couples so the beds in the rooms weren't ideal for everyone I.e only one bedroom has a double bed. 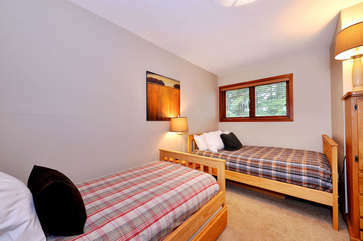 Other rooms are two twins which can be pushed together and a bunk bed with a larger bed on the bottom. The room with the sofa bed also doesn't have a door so not much privacy for the people sleeping there. However all things considered this is a great place to stay perhaps better suited to families but still good for other groups who can compromise (the rooms with the double bed is amazing)! Thank you, we had a wonderful time there. We had a great time staying at the Cedar Hollow 8. It was clean and had everything that we needed. The hot tub was great! We will definitely be returning. When we arrived, the place looked great! The layout was not what we expected, but we were fine with it. The only thing we were not too pleased about is the fact that the windows were low and with young children, we were not able to open the windows to let a cool breeze through. Other than that, if and when we are able to afford to go back to rent this unit, we definitely will. The overall experience was great with easy access instructions and zero hassles. It was a short walk to the hill from our accommodations and the house was clean and comfortable. We had two (2) couples which each had a room and four (4) singles that shared two rooms with there own beds. Would recommend this location to others. Generally a good stay with the exception of a parking issue. We had a vehicle parked outside the rental in a parking spot with no sign. At approx 9 in the morning happened to hear a faint honking outside the place. On investigation found a not so polite snow removal person saying our vehicle had to be moved as he was putting the snow there. When we didn't move right away he had someone threaten us with having our vehicle towed. Not very hospitable!!! Also description of being able to walk to village was not possible as there are not sidewalks. We traveled up to Whistler as a group of guys all coming up to mountain bike. For access to the lift/village, this unit could not be beat. A 3 minute walk down the hill (don't follow the road!) got us to the lift, and a 20 second bike ride also did. Very nice cabin With everything you need, it fullfilled our expectations totally recomended. We had a great time in Whistler and were delighted to stay in the Cedar Hollow unit. It was very spacious and felt like a home away from home. Clean, and cozy with up to date amenities. We would recommend this place to any family or large group it was quite nice!